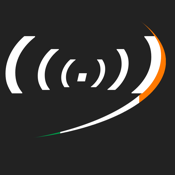 Radio in Ireland for iPhone gives you a wide variety of the best radio stations in Ireland in an orderly and simple manner. Radio in Ireland for iPhone supports multi tasking and AirPlay. AirPlay allows you to transmit audio wirelessly from your iPhone to your speakers. Of course, this applies only if your network is ready for that feature.